Some things never change. 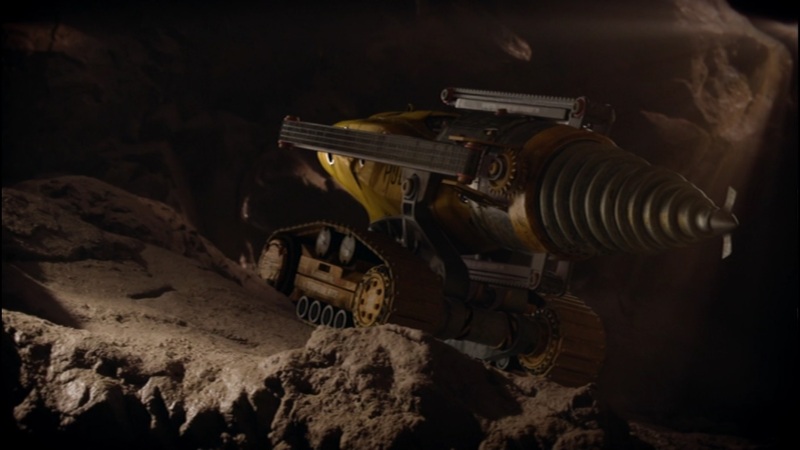 Old show or new, the Mole is still my favorite Thunderbirds vehicle. Daniel really enjoyed the revelation that Thunderbird 2 can electrify its hull! The Tracys need to activate this because they run afoul of a new colonel in charge of the Global Defense Force. This is something that really did, however, change between series. It instantly handles all the credibility questions that our changing world, with its heightened security, created about the original series: how in the world International Rescue operates. In this version, they have full permission and clearance to do so. It makes perfect sense and allows the show to just get on with it, occasionally using the GDF for a platform to launch stories. This one, however, is honestly one of the weakest ones of the first batch. The grouchy new colonel is so broad-brush evil that he simply can’t be anybody other than (a) the Hood or (b) somebody in the Hood’s employ. Flip a coin; the answer is revealed in the episode’s final scene.